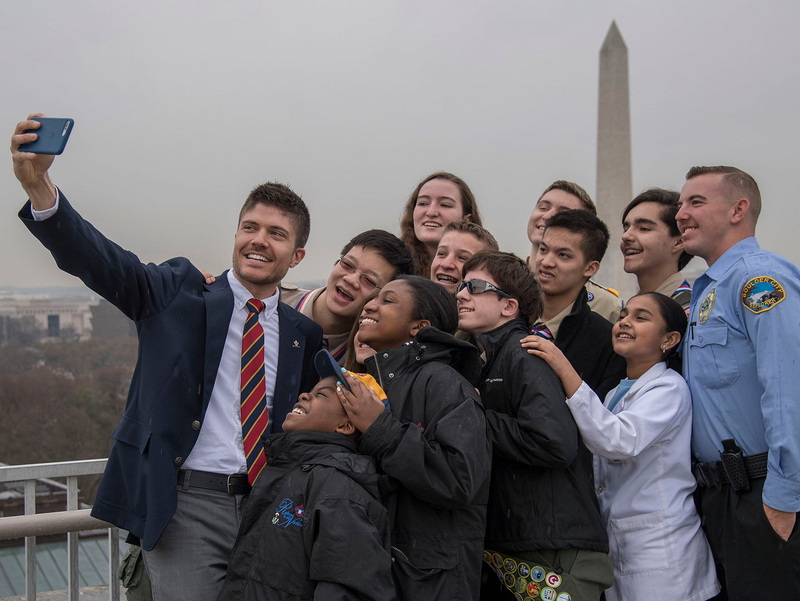 In a new interview with Eagles’ Call magazine, Distinguished Eagle Scout and former defense secretary Dr. Robert M. Gates shares his thoughts on leadership and the value of Scouting. Read an excerpt and see the video highlights from our chat with Dr. Gates below. After addressing the newest Green Berets at Fort Bragg last year, former Defense Secretary Dr. Robert M. Gates toured the North Carolina Army base with one of the men who trains the soldiers. Gates turned to the instructor with a question. “Can you tell the difference between a kid who was in the Boy Scouts and one who wasn’t?” Gates asked. The man looked at Gates like he’d lost his mind. Gates wasn’t surprised. As a Distinguished Eagle Scout, he knows how Scouting changes a man in ways you can see (he still bears a scar from Philmont) and ways you cannot. He credits his time in Boy Scout Troop 522 of Wichita, Kan., for giving him leadership skills, a sense of service before self and the ability to compromise.